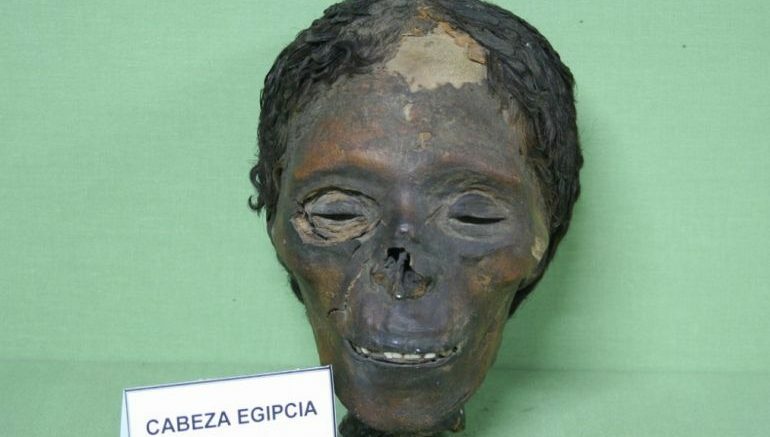 A 3,500-year old mummy head alludes to how ancient Egyptians probably had a penchant for make-up and cosmetic procedures. Belonging to a young (around 20-25 year old) woman, the analysis of her face skin has revealed tiny nodules underneath the cheek and back of the neck. According to the researchers, this condition possibly points to a skin disorder known as exogenous ochronosis, and the dermatosis is often caused by protracted use of skin bleaching cosmetics. Perhaps it was a symbol of high social status, indicating the individual did not perform hard outdoor work or work at all, just like the deformed feet or the extremely long nails for the ancient high-class Chinese women. Despina Moissidou, an anthropologist at Nation Kapodistrian University of Athens, and one of the researchers of the study, additionally mentioned how using cosmetics also pertained to religious and magical scopes, as opposed to just aesthetics. Anyhow, unfortunately for the Egyptians (especially from the royal and elite backgrounds), many of these cosmetic items contained lead as the primary ingredient, which often led to various kinds of skin diseases and inflammations. This finally brings us to another question – what is the identity of this skin-bleached young woman from 3,500-years ago? The archaeologists do not yet have a straight answer to that; since the mummy head in itself was initially identified in a wrong manner – with its first description saying “beheaded head of a Guinean negress young woman.” However by 2007, Moissidou and her team struck the right path and confirmed the woman’s ancient Egyptian bearing. So for now, all the historians know is that the skin-bleached woman probably came from an affluent background (given her penchant for cosmetic procedures), corresponding to the period of the 18th Dynasty of the New Kingdom. But her actual identity still needs to be solved by further investigation.